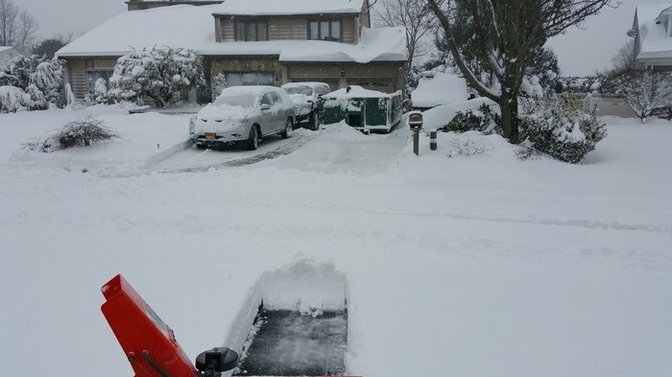 Cleaning up after the storm in Commack. Photo by LongIsland.com Staffer. Though only a small amount of snow had fallen by the time most school districts would have started the day, icy conditions and the threat of more snow and freezing rain to come convinced schools across the Island to close for the day. With icy roads keeping school buses off the road, kids across Long Island got to enjoy a snow day, even if conditions were less than ideal for sleigh riding. As schools reported to us on Tuesday, March 14th, 2017. Not an official state record.